There are numerous reasons a person can experience back pain. The more common reasons range from sprains and strains, normal wear and tear that occurs in discs and bones, to sciatica. Other low back pain could be related to infections, tumors and diseases such as kidney stones. For the less severe LBP (lower back pain) treatment ranges from spinal manipulation, acupuncture, and nerve block therapies. If these therapies fail, surgery may be a consideration. In more severe cases, surgery and the placement of spinal implants may be deemed necessary. The spinal implants market is grouped into fusion spinal implants or non-fusion spinal implants. (more on that below). Spinal implants are used to treat many forms of back pain and deformity. Its primary function is to help fuse two vertebrae together and replace natural disc material. Spinal implants are medical devices used by surgeons to treat the above conditions. As mentioned earlier, spinal implants fall into two categories, fusion and non-fusion. When it comes to lumbar fusion surgery, the two groups can be classified as those placed within the inter-body space (the disc space) or placed directly onto the spine for stabilization. Fusion - is a surgical procedure to create unions between rigid bones using a bone graft. Cages act as a space holder between two vertebrae. It will become part of the spine, so the bone graft can be placed to allow "growth" into them. (to allow a spinal fusion to occur between the two vertebrae). They are also known as inter-body cages. The cages offer support and stability after surgery. They generally do not need screws. As stated by Spine-health, "new studies have shown the material used could affect the successful growth of the bony fusion. Titanium cages with nanotechnology surface favor formation of bone." Plates, on the other hand, are usually attached with screws to the vertebrae. They assist in stabilizing the spine. This type of fusion is a procedure in which a surgeon uses an instrument such as a plate and screws to help the bones grow together. They are still flexible enough to allow the spine to bend. Rods also help to stabilize the spine. They are connected with hooks or pedicle screws to the vertebrae. Non-Fusion - is an alternative to the traditional spinal fusion, which permanently affixes two or more bones in the spine. Recently, new lumbar technology has been approved by the FDA. The implants acknowledge the use of preserving motion (normal range of motion) rather than fusing it. Artificial disc and expandable rods are two ways this type of procedure can be performed. Artificial discs also known as artificial disc replacement (ADR) is a medical device implanted into the spine that acts or imitates as a normal disc. Surgeons can replace the entire disc or remove only the nucleus (center of the disc). The artificial disc is designed to preserve motion after surgery that is as close to normal as possible. Expandable Rods are used to straighten the spine without fusing the vertebrae. NuVasive, a lateral spine technology innovator, developed a "Magec" system that utilizes magnetic technology within adjustable growing rods. According to Peter Newton, M.D. Division Chief, Orthopedics & Scoliosis Rady Children's Hospital - San Diego, the "Magec rod can be attached to the spine and lengthen externally by spinning a magnet over the patient's body which turns the motor inside the rod to allow it to get longer." For pediatric surgeons, children with scoliosis have the option to control the progression of the deformity with adjustable growing rods, while reducing the number of invasive surgeries that would have been required over time. In this section, we will discuss four types of surgeries that utilize spinal implants. In particular, we will consider anterior, posterior, and transforaminal lumbar interbody fusions and axial fusions. The interbody fusions involve removing the intervertebral disc. Axial fusion is designed to repair the damaged disc. There are unique approaches to spine surgery. Surgical approaches include anterior (from the front of the spine), posterior (back of the spine), and lateral (on the side of the spine). The anterior approach, from the front of the spine, allows direct access to the disc. This type of surgery approach permits surgeons to access the spine without disrupting or moving the nerves. A vascular surgeon usually will assist the orthopedic surgeon to move the organs and blood vessels to expose the appropriate disc. Posterior lumbar fusions are the most common approaches. The spine is approached from the back. Most PLIF's are done in the lumbar or lower spine (L4-L5 or L5-S1 region). A type of spinal implant such as a cage is inserted into the disc space restoring the spacing between the vertebrae. TLIF is also a spinal fusion procedure approached through the posterior of the spine. Surgical implants such as rods and pedicle screws are attached to the vertebrae. Bone grafts are placed into the interbody space to be fused. It treats spinal instability or weakness by uniting the bones. AxiaLIF approach reaches the disc from the front of the sacrum through an incision near the tailbone. It is a minimally invasive spinal fusion. The damaged portion of the disc is removed and is replaced with bone graft material. This type of spinal fusion is helpful in treating degenerative disc, spondylolisthesis, and spinal stenosis. The fusion will help stabilize the spine and relieve pain. 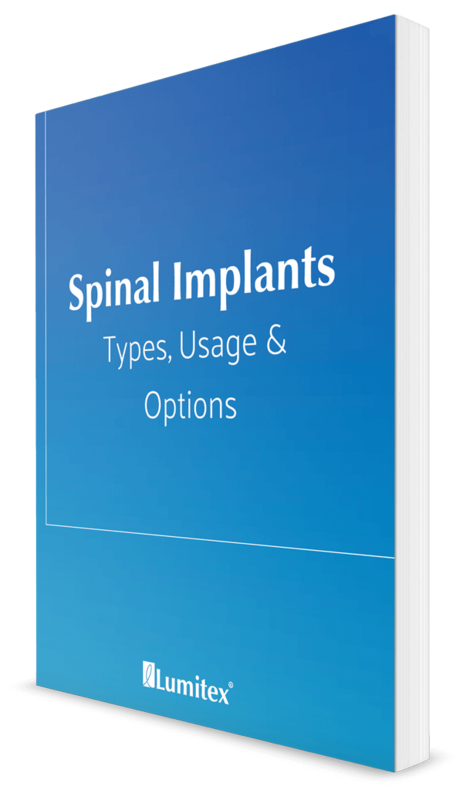 The major driving factors in spinal implants are the enormous demand for quicker recovery and less downtime. The demand for minimally invasive spine procedures continues to grow as patients become more educated on the types of spinal procedures available today. Materials and recent technologies in spinal devices will play a dominant role. Spinal fusions use interbody spacers that are made of titanium. Cages are utilized to fill with bone graft material. "The implementation of artificial disks allows a much wider range of motion for post-op outcomes. Some artificial discs are quite advanced, utilizing components with traditional titanium designs with specialized coatings and advanced surfacing." "Spinal implants such as cages, rods, screws, hooks, wires, plates, and bolts are being manufactured with titanium in preference to stainless steel." Spinal cord stimulation for back pain uses electrical pulses to stimulate nerves in the spinal cord. Implanting under the skin with thin wires called leads offers pain relief. The medical device uses electrodes that will stop pain signals from reaching the brain. A video from Spine-health shows the exact procedure from start to finish. Medical devices such as Medtronics, spinal cord stimulator, Intellis was approved in the U.S. in 2017. Nevro introduced a high-frequency spinal cord stimulator in 2015. The devices treat pain where surgeries may have failed. As with any surgery, there are benefits and risks. Patients and physicians need to weigh the pros and cons of surgery and spinal implants. The number one advantage to having spinal implants for most will be the immediate alleviation of pain. Surgery, whether it is minimally invasive or not will have most people back on their feet again, living their best life. As mentioned above, patients and doctors are concerned with long-term pain medications as the answer. Spinal implants is a consideration if all other therapies and methods have failed. Any operation has some degree of risk. With surgery, there is always a risk of infection. Spinal fusion is complicated. For any number of reasons, the fusion may not bond as well as anticipated. This may require additional surgeries. The "hardware" used such as screws, plates, and rods could move after surgery which could lead to complications. Because this type of surgery changes the anatomy of your spine, there could be unforeseen aftereffects. If living with back pain is unbearable, procedures that include spinal implants may be worth considering. The global spinal implants market is expected to exceed more than 19.5 Billion U.S. dollars by 2024. Smaller incisions, shorter recovery times and better outcomes are the goals of surgeons and patients. Improved and precise lighting for spinal devices that maximize flexibility are the goals of Lumitex. We can help improve visualization for MIS and spine surgeries. 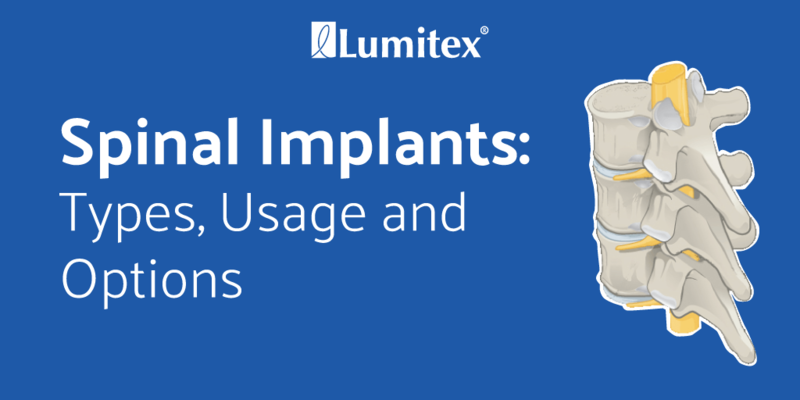 The bright, cool, and non-obtrusive lighting engineered by Lumitex Medical Devices can be an integral part of any system. We work with Original Equipment Manufacturers to design lighting for various spinal retractor systems. Joe Dombrowski is an Engineering Manager at Lumitex. He has experience with a demonstrated history of working in the medical device industry. 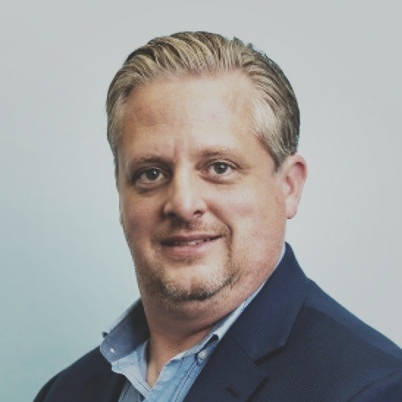 Joe is skilled in Product Design, Medical Devices, PTC Creo, Engineering, and Failure Mode and Effect Analysis (FMEA).